Home » There Were Some Great PlayStation VR Games at E3 2018! Sony invested a lot of money in their PlayStation VR platform before it was launched, but it hasn’t exactly set the world on fire. The headset has underperformed against modest sales expectations and many people in the industry suspected that it would be absent at E3 this year. I know I wouldn’t have been surprised if it wasn’t there either. We were all wrong though. Sony had a massive booth at the show this year that had a TON of games in it. Below is a list of games that the EFG Staff enjoyed. Editor’s Note: VR Games are not encouraged for younger gamers. 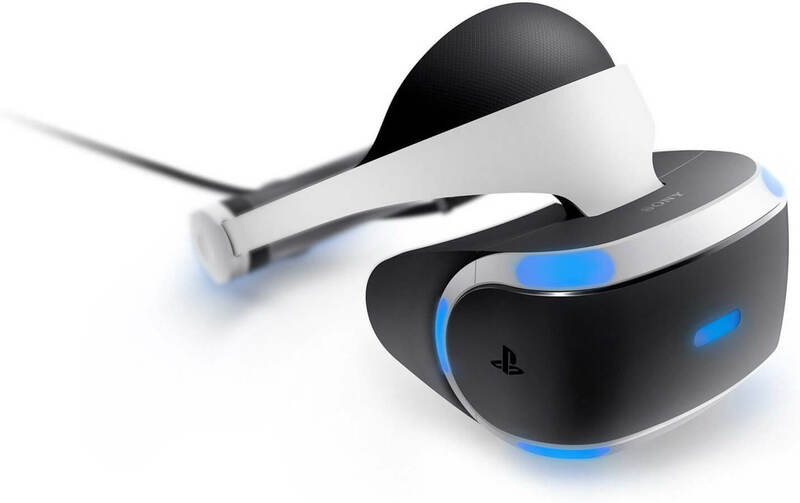 The PSVR platform is specifically recommended for gamers age 13+. We got an opportunity to play this rather unique platformer utilizing the PS4 dualshock controller and the VR headset. Moving Astro Bot around the environment to rescue is tiny robot friends was very similar to most other platformers and it took me a little while to realize what I was missing by not just simply turning my head to look around. They made sure to use every inch of space in order to make you look around to find the correct way to get access the spots where they hide your goals. So really if you are a platform junkie with a soft spot for cute robots this might very well be the one for you. This is a beautiful puzzle game coming to PSVR, you play a literal giant ghost who has been sent to help and protect a lonely, bullied boy named Louis. You interact with the world using a series of levers, knobs, and picking things up and moving them to solve problems and assist Louis. Get used to looking at everything and everywhere to find your solution. Do you want to be Starlord? In 2018 you can with SPT, seriously, it is Galaga in VR and the enemies shoot back at you. Space pistols for everyone!!!!! Guess what, boxing makes you tired, and so will Creed on PSVR. The gameplay was solid and fluid and really did force you to use the whole virtual experience. Just be careful of the cords as the last thing you want to do is rip the audio plugs out while trying not to get knocked to the canvas. Tron… It’s Tron and it is just as zany and wacky as one would think a game that ostensibly looks and feels like playing in the first Tron movie. Our team really enjoyed the dynamic movement and the speed that you could play at once you are used to the environment and controls. I mean really who does not want to hit their friend in the head by bouncing a laser-powered disk off the floor into their face.